Next May, 2016, we will be returning to the U. S. for our furlough. We are already beginning to work on our schedule. It would be an honor for us to be in your church. Please print the postcard pdf file below and check your preference for us to be in your church. Happy New Year!! We trust that each of you had a wonderful Christmas and that you will have a blessed 2016. Thank you for your prayers and financial support. It is our privilege to be your missionaries here in Honduras. We had a special Christmas service and dinner in the mission work December 20th. Alba directed a puppet show and a drama, Halbert led in special music, and I preached. On December 26, we had a youth rally with five churches from 4 different areas. We had games and a service in the morning, lunch, and then more games and another service in the afternoon. Praise the Lord we had about seventy-five present! We began the year with our annual week of prayer, meeting Monday through Saturday for special prayer and a short sermon about prayer. Please continue to pray for our 2016 YOUTH CAMP, Easter Week or Holy Week as we say here. To be able to have camp with our youth who come from poor homes, we have to help them with half of their camp costs. Please pray that the Lord will provide these extra funds. That comes out to about $55.00 for each camper. We are praying for a special offering of $2,750.00 for this camp. Please notify us by phone or email if you are able to participate. We will be teaching on Evangelism. We will also have a separate class for the girls taught by Missionary Shelley Grimm and for the boys taught by Missionary Harold Priday. Different men will be preaching each night. In April, we will be returning to the U. S. for our furlough. Our last furlough was 2007-2008. We are already beginning to work on our schedule. It would be an honor for us to be in your church. I am attaching a postcard for you to please complete and print and return to us as soon as possible by mail or by email if you have not done so already. Our email is lesliepriday@gmail.com . I will contact you to confirm or change if necessary. Thank you to those who have already contacted us. Thank you for your help! Thank you for your prayers and faithful support. In October we had terrible flash floods in our city affecting some two thousand people. Many lost everything with six feet of water in their houses. The structure of many houses was damaged. No one here in our area has flood insurance because it had never flooded here. Praise the Lord none of our church people or family were affected. The men’s conference the end of October was a great blessing. My Dad, Missionary Harold Priday was our speaker. We had sixteen men from four churches. The theme was PREPARING FOR REVIVAL. The meetings were Thursday and Friday night, and Saturday morning. We praise the Lord for the great time we had. This weekend Missionary Miss Shelley Grimm will be speaking to the ladies of the mission. Now we are preparing for our Christmas program and the New Year. Please pray for a national pastor for the work in Barrio Abajo. Please begin now to pray for our 2016 YOUTH CAMP, Easter Week or Holy Week as we say here. To be able to have camp with our youth who come from poor homes, we have to help them with half of their camp costs. Please pray that the Lord will provide these extra funds. That comes out to about $50.00 for each camper. We are praying for a special offering of $2,500.00 for this camp. Next April, 2016, we will be returning to the U. S. for our furlough. Our last furlough was 2007-2008. We are already beginning to work on our schedule. It would be an honor for us to be in your church. I am attaching a postcard for you to please complete and print and return to us as soon as possible by mail or by email. Our emaiL is lesliepriday@gmail.com (corrected from last letter). I will contact you to confirm or change if necessary. Thank you to those who have already contacted us. Thank you for your help! We want to wish each of you a wonderful Thanksgiving with your families and a blessed Christmas celebrating the birth of our Wonderful Lord and Savior. Thank you again for your prayers and financial support. We also wish you a great New Year filled with blessings from the Lord and fruit in your ministry. We will be spending Thanksgiving and Christmas with our family here. It finally started raining in Honduras. However, many crops were lost and in several parts of the country the situation is very difficult. Shortages of beans, corn, and even electricity are probable in the next summer or dry season. Thank you so much for your prayers and financial support. We count it a privilege to be your missionaries here. Recently one of the ladies in the mission work gave testimony that she was able to lead to Christ two young men who were remodeling her home. She is one of the people that received a soul winning course. We praise the Lord for the burden that she has for the lost. In October we will have an emphasis on evangelism. Please begin to pray for every contact. Please pray for a national pastor for the work in Barrio Abajo. We are planning a men’s conference the end of October. My Dad, Missionary Harold Priday will be the speaker. We expect men from several churches. Please pray for this special time. Satan attacks men fiercely here. Next May, 2016, we will be returning to the U. S. for our furlough. Our last furlough was 2007-2008. We are already beginning to work on our schedule. It would be an honor for us to be in your church. I am attaching a postcard for you to please complete and print and return to us as soon as possible by mail or by email. Our email is leslIepriday@gmail.com . I will contact you to confirm or change if necessary. Thank you to those who have already contacted us. Thank you for your help! Thank you so much for your prayers and financial support. We count it a privilege to be your missionaries here. We are in an extended dry season as has not been seen for many years. It usually starts raining in May. Farmers in many areas have lost their crops. But nothing compares with the Spiritual drought here. Heresy is spreading as a wildfire, masquerading as true Christianity. Satan has been battling in the lives of many of the people in the mission with sickness, family problems, unemployment, and financial problems. Please pray that the Christians will keep their eyes on the Lord and be faithful. As the teens grow and move away for their education and jobs, they many times also drift away from the Lord. Please pray for them. May was a very busy month with a special Mother’s Day celebration, a men’s meeting, and a surprise Pastor’s Day celebration. It is always encouraging to hear their testimonies of how we have been a blessing to their lives. To God be the glory! In July we had a watch night service from 7:00 p.m. to 5:00 a.m. It was a time of special music, testimonies, preaching, a bonfire, and several times of special prayer. I praise the Lord for Bro. Arturo who has started teaching Sunday School! Please pray for him because his wife does not attend church. Next May, 2016, we will be returning to the U. S. for our furlough. Our last furlough was 2007 to 2008. We are already beginning to work on our schedule. It would be an honor for us to be in your church. I am attaching a postcard for you to please complete and print and return to us as soon as possible by mail or by email. Our email is lesliepriday@gmail.com . I will contact you to confirm or change if necessary. Thank you for your help! Wow! It is unbelievable how the last two months have flown by! Thank you for your prayers and financial support. Youth Camp in April was a great blessing. We praise the Lord for supplying all the funds needed to help the campers. We had enough counselors as well. Pastor Daniel and I taught the morning classes and my Dad, Pastor Walter, and Pastor Daniel preached in the night services. This year during the activity time, Halbert planned for us to go a nursing home and work. Three afternoons, we shared with the residents, cleaned their rooms, bathrooms, halls, meeting room, and the grounds. On Friday night, we had bonfire and testimony time. What a blessing to hear how God is working in the lives of the teens. Please pray for them that the Lord will help them continue in His Paths and keep the promises they made. Thank you for your prayers and special offerings to help make Camp possible! Youth Camp ended on Saturday and Resurrection Sunday we had the Sunrise Service and breakfast at our home at 5:00 a.m. Alba made pancakes for everyone. In the evening service we observed the Lord’s Supper and everyone who attended Camp gave a testimony. It was a blessed time. April 26th our youngest son Edgar was married to Alexandra Orellana from Siguatepeque. My Father did the ceremony. It was a beautiful wedding. They live just five minutes from us so that is nice. Please pray for them as they start their new lives together that they will keep the Lord first in their lives and serve Him together. The last several months we have been trying to obtain the email addresses of each of our churches to send our prayer letters, but have not been able to. Our home church sends out our letters and no longer has their bulk rate permit so we are trying to send our letters by email. We greatly appreciate Victory’s years of mailing our letters. Please help us by sending us your email if you are not receiving emails from us. Our email address is lesliepriday@gmail.com. Thank you so much for your prayers and financial support. December and January were busy months. Alba directed the Christmas programs this year. We had a drama and a puppet show. They did a great job and everyone enjoyed them. Following the dramas a pastor friend preached for us and we had a special supper. The first week of January was our annual week of prayer. We had special prayer meetings Sunday through Friday and a short study on prayer. This week is always a blessing to us as we seek God’s direction for the New Year. It was a privilege to have Missionary Miss Shelley Grimm of Vandalia Baptist Temple near Dayton, Ohio with us for a few days and she held a Ladies Conference for us. Please pray for her as she prepares to come to Honduras to minister this July. The third week was our Vacation Bible School. We had three classes from ages 3 to 12. The teachers and workers did a fantastic job and we praise the Lord that thirteen precious children repented of their sins and received Christ as their Savior! Our next big activity will be YOUTH CAMP, Easter Week or Holy Week as we say here. We ask you to once again be praying for it. To be able to have camp with our youth who come from poor homes, we have to help them with half of their camp costs. Please pray that the Lord will provide these extra funds. That comes out to about $50.00 for each camper. We are praying for a special offering of $2,500.00 for this camp. We need to know where we stand so we can plan accordingly. If you can help, please call or email us. On a personal note, it is great to have my parents, Missionaries Harold and Lena Priday back here from their furlough. Also, we are excited to announce that Edgar is engaged to Miss Alexandra Orellana. They will be married here April 25th. Please be in prayer for them as they start their new lives together. Please confirm if you receive this email as we must update our list. Thank you so much for your faithful prayers and support. Please forgive the delay of this note, I have been trying to get the email addresses of each of our churches to send our prayer letters, but have not been able to. Our home church sends out our letters and no longer has their bulk rate permit so we are trying to send our letters by email. Please help us by sending us your email you are not receiving emails from us. Thank you for your prayers for the Men’s Conference. It was the last week of October. A pastor from Tegucigalpa and I taught the theme Men Called By God and we taught on the lives and call of five men from the Bible, Abraham, Moses, Elijah, John the Baptist and Paul. We had fifteen men attend from our local churches. In October we had a Youth Rally with teens in attendance from 4 churches. Youth here as everywhere are under attack from Satan. Please pray for them. We are excited for a couple in the church in Barrio Abajo who will be married in December. The church is preparing for their Christmas programs. We will have a puppet program and the teens and adults will also do a drama followed by a special Christmas supper. Thank you for holding the ropes as we serve here. The first week in January we will have our annual week of prayer. The third week we’ll hold Vacation Bible School. We trust that each of you have had a great Thanksgiving. May God bless each of you in a special way. Thank you so much for your prayers and support. We count it a privilege to be your missionaries in Honduras. In the future, we will be sending our letters by email to lower the cost and the time consuming preparations of sending by USPS bulk mail. Once again, I ask that each church please send us the email address where you would like to receive our letters. If you already have, thank you! Please contact us at lesliepriday@gmail.com. Now on a personal note: Halbert told us at the beginning of the year that he was dealing with doubts about his salvation. We talked and prayed about it and he decided that he needed to receive Christ as his Savior. Shortly afterward, he followed the Lord in baptism. We praise the Lord for touching his heart and for Halbert’s decision. What a blessing to baptize our son. In June he asked if we could divide the adults from the teens in Sunday School and he teach the teens. So he has already started a new class. Your prayers for us as a family are so important. The mission work in Barrio Abajo continues to grow. 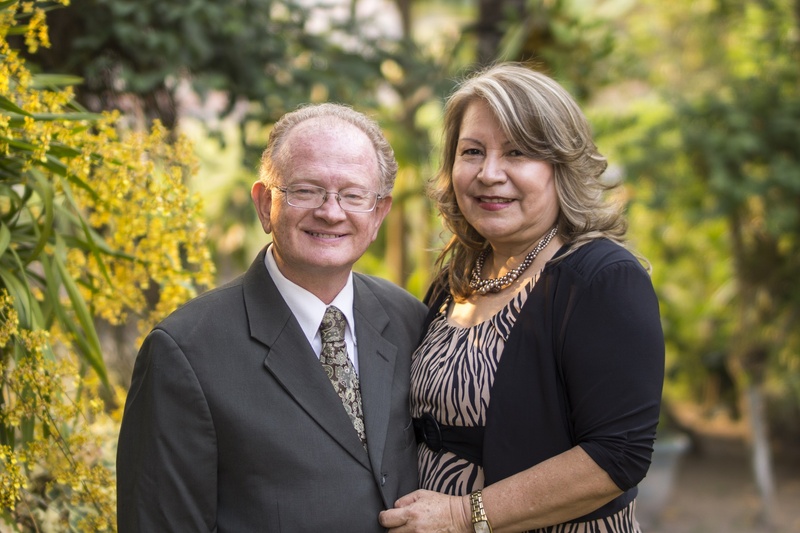 Please pray that the Lord will provide a Honduran pastor for that work. We were blessed to have a group from Vandalia Baptist Temple, Vandalia, Ohio with us for eight days in July. Pastor Rick Washburn preached in two of our services and in Sunday School for Pastor Polo in Iglesia Bautista Victoria. They sang, gave testimonies, and did a puppet show in each church. Also, they did a presentation in two elementary schools and to two different junior and senior high groups. They passed out tracts to each group and all over the market area. They also painted the inside of the building where the church meets. We praise the Lord for their sacrifice to come and their hard work while here!! If you would like to bring a group of any size from your church, please let us know. You are welcome here!!! Recently the youth had a special activity night with games, food and we showed the movie, “God Is Not Dead” and then analyzed it. Also, last week, the church had an all night service from 7 p.m. to 6 a.m. It was a great blessing. We had three services with many testimonies, special music, games, supper, a movie and two preaching sessions. Pastor Walter Cortes was our special speaker and did a great job. September 10th is Children’s Day here so we will have a special celebration with an evangelistic emphasis. In October we will host a national Men’s Conference. The theme will be Men Called of God and we will study six principal men of the Bible. Please pray for these special ministries. May the Lord bless each of you greatly. Wow it is hard to believe how fast the month of May flew by! Please forgive the delay of this letter. We are now in our rainy season and it is raining very much. Much has happened the last two months. Thank you for your prayers and financial support. We praise the Lord that Youth Camp was a great success and blessing. The theme was BE SALT AND LIGHT. Pastor Walter led the services and music and was a cabin leader. His wife was also a cabin leader, as well as 3 ladies from our church. Our oldest son Steve was with us this year and he was also a cabin leader and ran the computer, sound and projector. This year the Lord blessed us with enough cabin leaders so that Pastor Daniel, Alba and I did not have to, allowing us to dedicate more time to prepare for the classes and preaching and directing everything. Pastor Daniel and I taught classes on discipleship, he taught on the the doctrine of Christ, and I taught eight basic doctrines of the Bible. Pastor Edwin from another local church preached two nights and Pastor Daniel another night and we showed a Christian movie. Halbert was the activities director with the assistance of one of the teen girl from our church. Edgar helped us set everything up and take it down the last day. We praise the Lord we had forty-one in attendance. Each one received a 48 page booklet with worksheets from the lessons to take notes. The last night was the bonfire/testimony service and each of the testimonies of how the Lord worked in the lives of the youth encourage us to continue on every year. We praise the Lord for the special offerings that came in to help pay the way of those attending. This is fruit that abounds to your account! Philippians 4:17. I was asked to preach the funeral and speak at the burial of Pastor Polo’s mother who went home to be with the Lord. I thank the Lord for the opportunity to share the same Gospel in her funeral that she taught so many years in Sunday School. My parent’s 53rd wedding anniversary was April 15th. They are in the States on a short furlough. We celebrated Halbert’s birthday in Camp. Resurrection Sunday we had a Sunrise service at our house followed by the pancake breakfast that Alba makes every year. That night we had the Youth Service where each one gives a testimony about Camp and the teen choir sang. We also observed the Lord’s Supper. In May Alba, Edgar, and I celebrated our birthdays, then Mother’s Day, and the church honored Alba and I by celebrating Pastor’s Day. They planned a special service with special music, poems, directed by Halbert, and Edgar preached! It was an exciting and touching service. This is fruit that abounds to your account! Philippians 4:17. May was also a big month for expenses! We had to do major repairs to both our cars adding up to $3,850 and replace half of our roof which cost us $1205. We praise the Lord for the special offerings that have come in to cover almost all of these expenses. May God bless you for your part in His work in Honduras. It is our privilege to be your missionaries here.